The charging documents allege that Salman had been helping her husband since at least April. 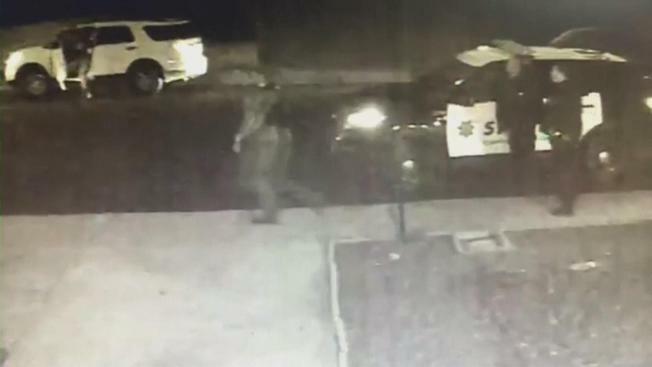 As the wife of the Orlando nightclub gunman is set to appear in federal court for the first time on Tuesday, NBC Bay Area obtained exclusive surveillance footage taken in the neighborhood of the moments before her arrest. The short clip of black-and-white video shot at 7:36 a.m. Monday shows two Alameda County sheriff's deputies standing on the sidewalk as at least three men in plain clothes walk by quickly on the sidewalk in Rodeo, California. It's a small city, with a population of 8,600, in Contra Costa County near the San Pablo Bay, about 45 minutes from San Francisco. Noor Zahi Salman was taken into custody shortly afterward, although the video does not show that moment. A woman declined to comment through a screen door on Monday at Salman's mother's home, where the 30-year-old mother returned to after the massacre. Her mother was seen ducking into a car as a swarm of reporters hoped to speak with her, which she declined to do. According to neighbors, Salman's mother had thought she had been cleared. "She said her daughter was out of the situation so we thought everything was back to normal," a neighbor said Monday afternoon without fully opening her front door. 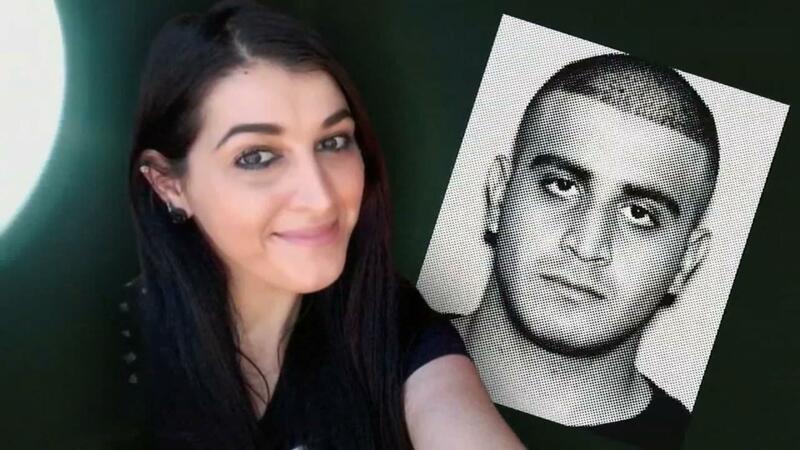 Noor Salman and her late husband, Omar Matten, accused of killing 49 people in Orlando in June 2016. Salman appeared federal court in Oakland on Tuesday at 9:30 a.m., although the case is being prosecuted in the U.S. Central District Court in Florida. Her case was delayed until she could be assigned a federal public defender. Her uncle defended her outside court, saying she was an innocent victim. Charging documents made public Tuesday morning show that Salman was actually indicted on Jan. 12, four days before her arrest. Federal prosecutors in Florida allege Salman was helping her husband, the late Omar Mateen, since at least April. That's two months before the June 12 attack at the Pulse nightclub in Orlando, where he killed 49 people and wounded 53. The first count alleges she "knowingly" aided and abetted her husband by providing him "material support or resources" to a designated foreign terrorist organization, namely the Islamic State of Iraq and the Levant. Before he was killed in a shootout, Mateen told a police hostage negotiator that he was a soldier of ISIS and that the United States had to stop its bombing in Syria and Iraq, according to police transcripts. Salman was also charged with obstructing justice, specifically against the Fort Pierce police and the FBI. The remaining details of the case have been sealed. In June, a source close to the family told NBC News that Mateen sent his wife a text message during the rampage, asking her, "Do you see what's happening?" After swapping texts, she allegedly tried to call him. The charging documents made public Tuesday allege that Salman had been helping her husband since at least April. But in a statement Monday sent to NBC News, Salman's Tampa-based attorney, Linda Moreno, said her client had no advance knowledge of what her husband would do that night at the Florida gay club. "Noor has told her story of abuse at his hands," Moreno said in the statement. "We believe it is misguided and wrong to prosecute her and that it dishonors the memories of the victims to punish an innocent person." A neighbor told NBC Bay Area she was surprised that Salman had been arrested. "I thought she was not a suspect, I thought she was fine," the neighbor said. Another neighbor, Tony Torres, said he didn't think Salman was any type of killer mastermind: "I think she was just along for the ride." But yet another person in the neighborhood, Catherine Lawrence, told NBC Bay Area, "I'm not really surprised because I felt like something might transpire. If she was connected with this guy then she may have known more than what she was saying." But in November, Salman told the New York Times in an interview that she was "unaware of everything." Since the massacre, Salman was said to have been cooperating with the FBI. What changed has not been made clear. Her mother’s neighbors in Rodeo have told NBC Bay Area that Salman was the daughter of Ekbal Zahi and Bassam Abdallah Salman, who died of a heart attack several years ago. Salman's mother still lives at the home with her youngest child. According to neighbors, Salman attended John Swett High School in nearby Crockett, California. Salman married Mateen, neighbors said, and moved to Florida about five years ago before returning to the Bay Area this summer. NBC Bay Area's Shawn Murphy, Pete Suratos and Chuck Coppola contributed to this report.